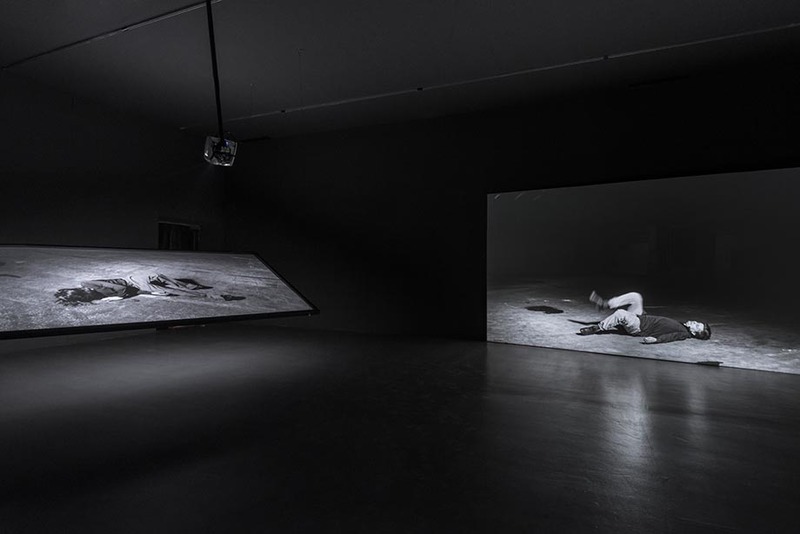 The latest work by Grzegorz Stefański is a multi-channel video installation focusing on the fractions-of-a-second short inertia that the human body experiences during a fall. 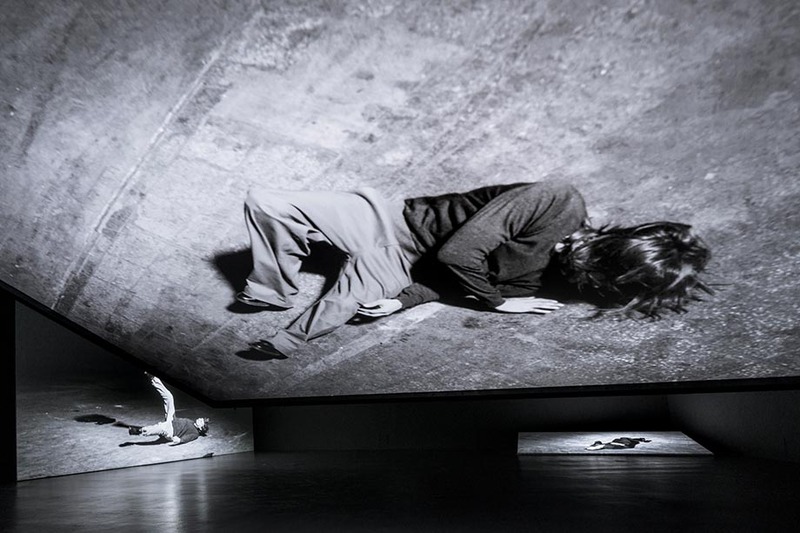 The installation oscillates between photography and film. 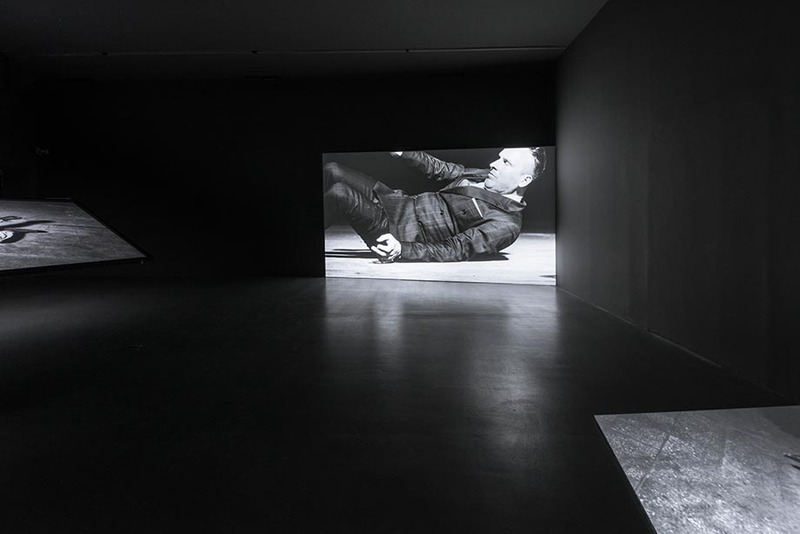 In his art, Stefański explores the possibilities and limitations of film. 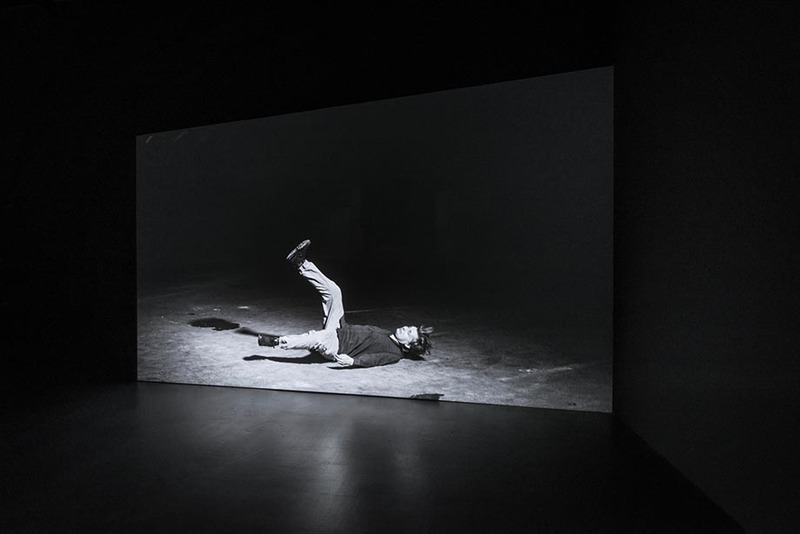 The themes he has investigated include the legacy of European cinematography, private history recorded in one's body, cultural determinants of masculinity, and micro-choreographies of violence. In his latest work, Stefański develops motifs present in his previous output. The materiality of the performer's body remains the main theme. The artist focuses on the the course of inert flight just before falling to the ground. Fractions of a second are stretched into a sequence that takes dozens of seconds and becomes the basis for a monumental video installation. The body presented in this way becomes a metaphor of the moment of relaxation during a total loss of control. On the other hand, the installation emanates the tension produced by consciousness of the delayed-but-inevitable collapse.